The future looks bright in Chelsea, thanks to several large infrastructure projects that will likely run for six years. 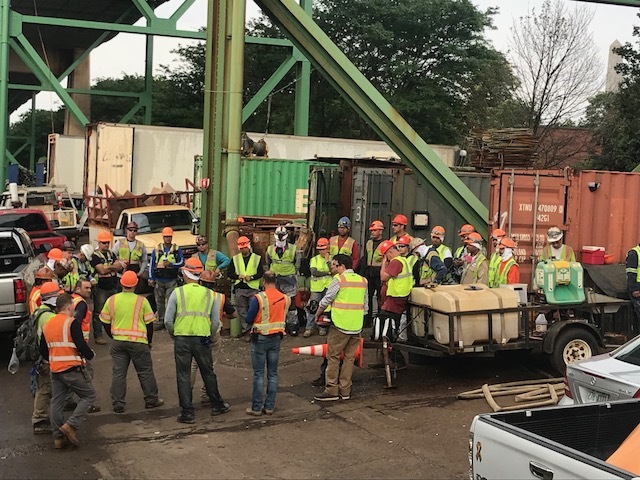 A $17 million project with JF White and Liberty Maintenance to repair the steel structure of the Tobin Bridge is expected to continue for the next two-and-a-half years. The $145 million rehabilitation of the Chelsea Viaduct goes up to bid in September 2018 is expected to take four years to complete. We also have thirty bridge projects in our jurisdiction. TSI Painting Longfellow Bridge painting crew: Mark Ruge , Valerio Cardoso, Ronald Monteiro, Çarlos Alves, Sarah Cosman, Scott Hamlin, Emerson Silva, Ramiro Luarca, Bradford Albritton, Selco Do Santos , Vidal Nivar, Tim Mladek, Alexis Hernandez, Jason Karanzas, Arthur DaSilva, Tony Hernandez and Elkin Angel. 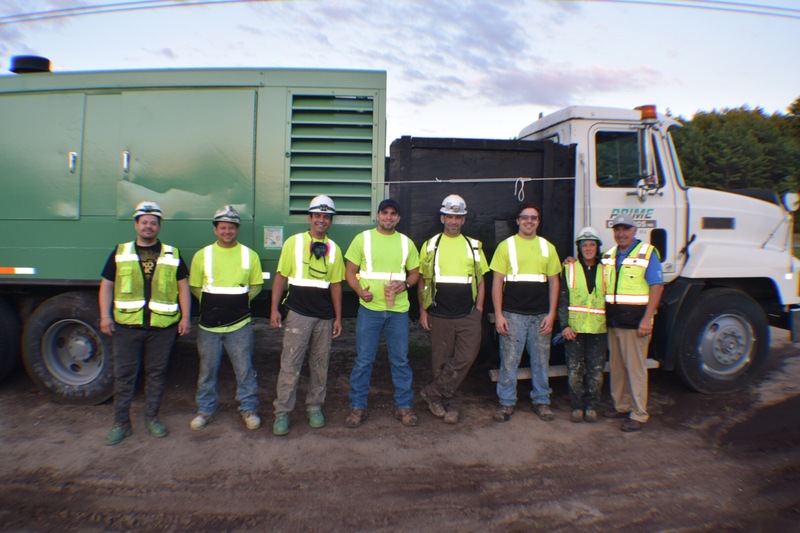 With all of our apprentices working, we continue to bring in new first year apprentices. 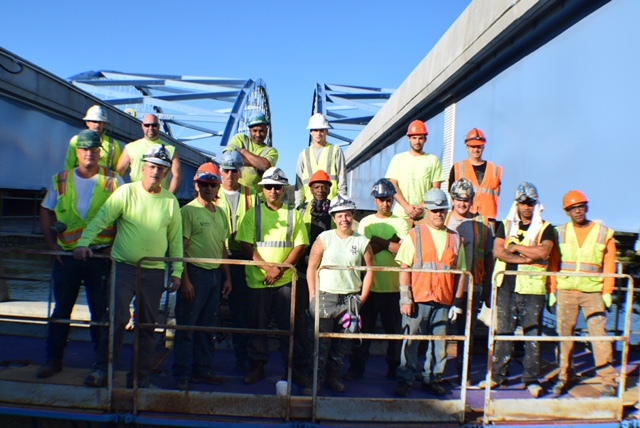 We have a number of commercial painters working for Tri-State on the Longfellow Bridge project and Atsalis Brothers on the Whittier Bridge project. I am continuing to recruit industrial painters from RJ Forbes and Amex Painting in East Boston. They have been working at the Senesco North Kingston Shipyard in Kingston for several years, making $19 an hour with no pension and paying $48 a week for health insurance. We can show them there is a better future with the Painters’ Union. 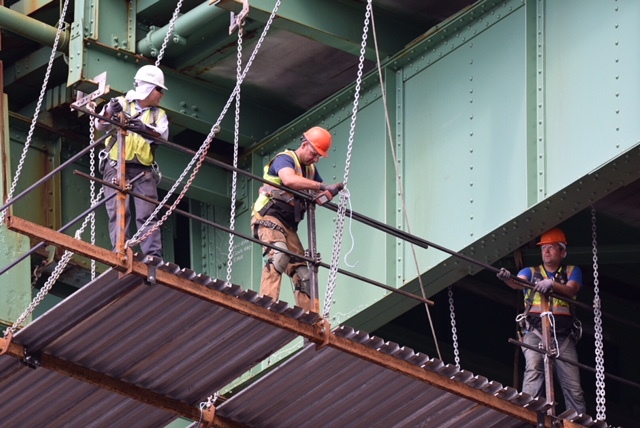 Favio DaSilva, Fernando Delucena and Anderson DeSouza set up a suspended platform for JF White on the Tobin Bridge in Chelsea. As I reported last month, I’m continuing to monitor Southern Road and Bridge. On June 25 at 3:52 p.m., I was stopped by the State Police after leaving Southern Road and Bridge’s jobsite on the Algerie Road Bridge in Becket. When asked my name, I gave the officers my license and business card. When I asked him why I had been stopped by four cruisers, he told me he got a call and reporting me for harassing workers at the bridge. I told him we could fix it by going back to the bridge or calling the project superintendent. Then he changed his story and said I was stopped for erratic driving. I told him to give me a break, wondering how I could drive erratically with two lanes closed for repairs. The officer quickly returned to his car to check my identification. When he came back, I told him I was protecting my industry. I told him they were fined $222,000 for misclassification of workers. I told him I was just doing my job and would keep at it as long as my BM, Jeff Sullivan, allows me to do it. 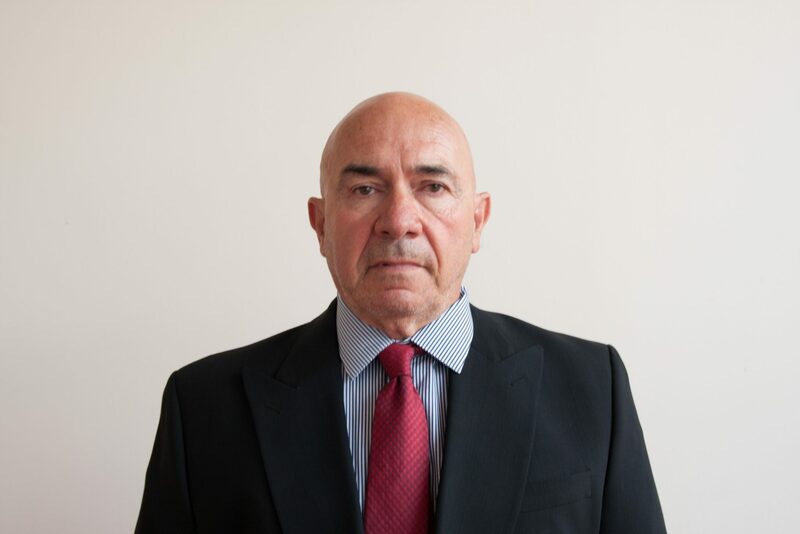 I will represent our membership as long as I have my health and the passion to do my work. It is a privilege and an honor to serve you. Prime Coatings rapid deployment crew working in Route 495 Foxborough. Marcus De Oliveira, Anderson Fausto, Divaldo Lopes, Nick De Almeida, Logan Stumpf and representative, Tony Hernandez. 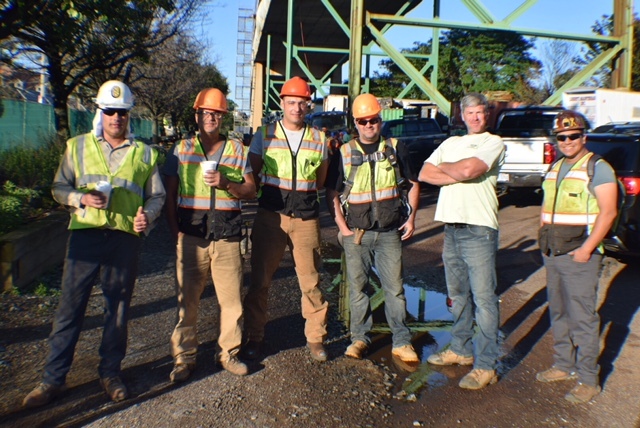 JF White Tobin Bridge rigging crew: Favio DeLima, Luis Alves, Fernando DeLucena, Anderson DeSouza, Wagner Nieto and Mark Tryon. 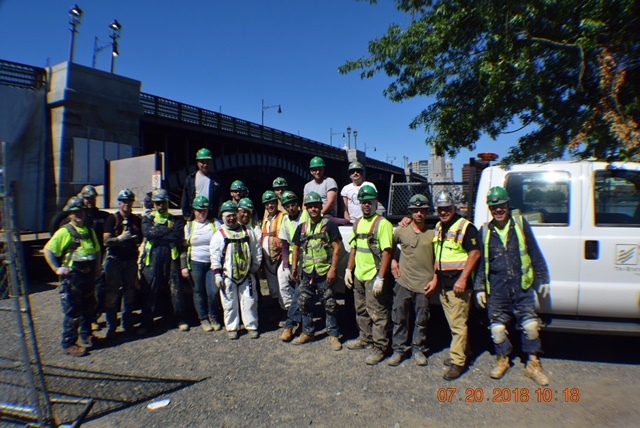 Liberty Maintenance weekly safety meeting, Tobin Bridge Charlestown.